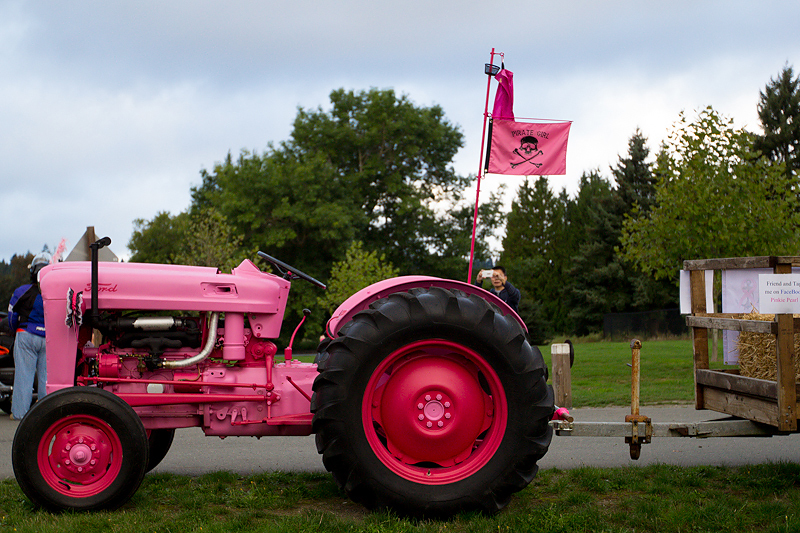 If you happen to be in Seattle this weekend and see a pink tractor being driven by a pirate, not to worry. 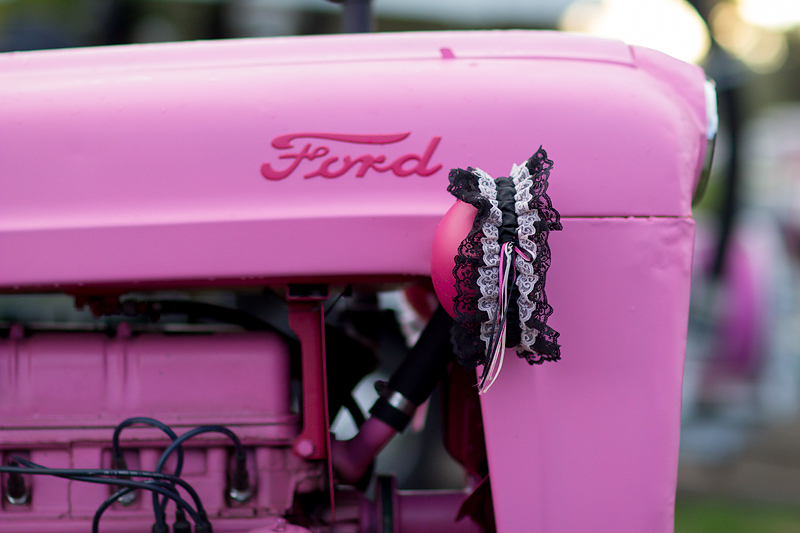 These things seem to happen on the Susan G. Komen 3-Day®. 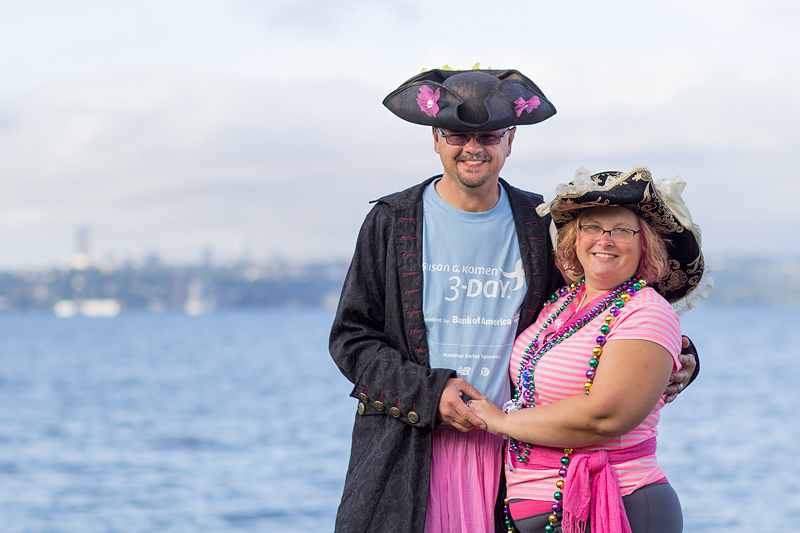 David and Wendy N from Snohomish, Washington, have had many experiences that have led them to raise awareness for breast cancer in this piratey, pink way. Wendy was diagnosed with breast cancer in 2005, beginning her tradition of walking the 60-mile route in 2006 with her best friend. David had a close call with his own “lumps and bumps,” and was, in fact, the reason he had originally met Wendy over the phone, over his own health concerns. Their common friends had led them together first over the phone, and then in person on the night before Halloween, where they had their first date…as pirates. 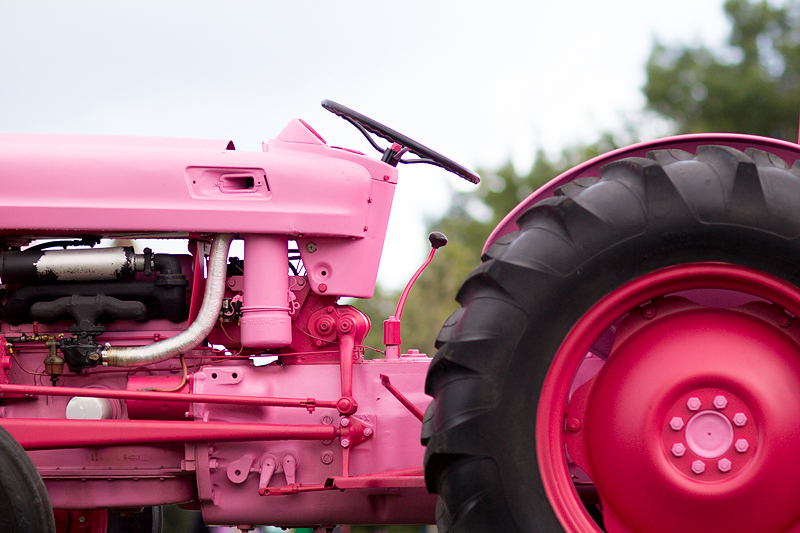 David started by walking the 60-mile walking route as well, an annual celebration to raise funds for breast cancer research and a physical challenge for anyone wanting to participate. “We decided that we would get married at the end of Day 2 on the event in 2009,” explained David. “We were married in our pirate outfits.” Of course they were, and it happened in a sea of pink-clad walkers who were more than happy to celebrate the joining of two strong people. (You can see the full ceremony on YouTube, under “Seattle Breast Cancer Pirate Wedding.”) The ceremony was officiated by none other tha, Barry Long, the host of the Halloween party of their first date and a man who happens to own the world’s record for the highest bungee jump in a wheelchair from a helicopter (and from a fixed structure).